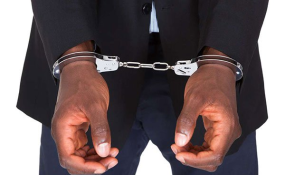 Uganda police have detained five people including journalists from the British Broadcasting Corporation (BBC), and local NBS TV who are reported to have been investigating the theft and sale of government drugs. According to Kampala Metropolitan Police spokesman Mr Patrick Onyango, three journalists -- Godfrey Badebye, Kassim Mohamad, and Rashid Kawesa -- and their driver Shafiq Kisame were arrested in Makindye, a Kampala suburb, where they were allegedly buying classified drugs from an undercover security officer on Wednesday night. The police say after the arrests, their probe led them to the home of NBS journalist Solomon Sserwanjja where it is claimed the reporters had kept the first batch of drugs they had bought. "We are holding five suspects on charges of illegal possession of classified drugs contrary to Section 27(2) of the National Drugs Authority Cap 206. Their file will be taken to State Attorney for perusal any time," Mr Onyango said Thursday. Mr Onyango said Mr Sserwanjja was on the run after failing to return to his home where police had been waiting for him to "lead them in the search" for the drugs. "He promised to come but in vain. In the morning, we carried out a search and found classified drugs in his house leading to the arrest of his wife, Ms Nakaliika," he said. "We are also looking for Mr Sserwanjja to help us investigate how government drugs ended up at his home," he said.